Chop beetroot into chunks and place into a steamer full of boiling water. Steam for approximately 30 minutes, or until beetroot is tender. Reserve ¼ cup of cooking water. Meanwhile, roughly crush nuts in a food processor/mortar and pestle. 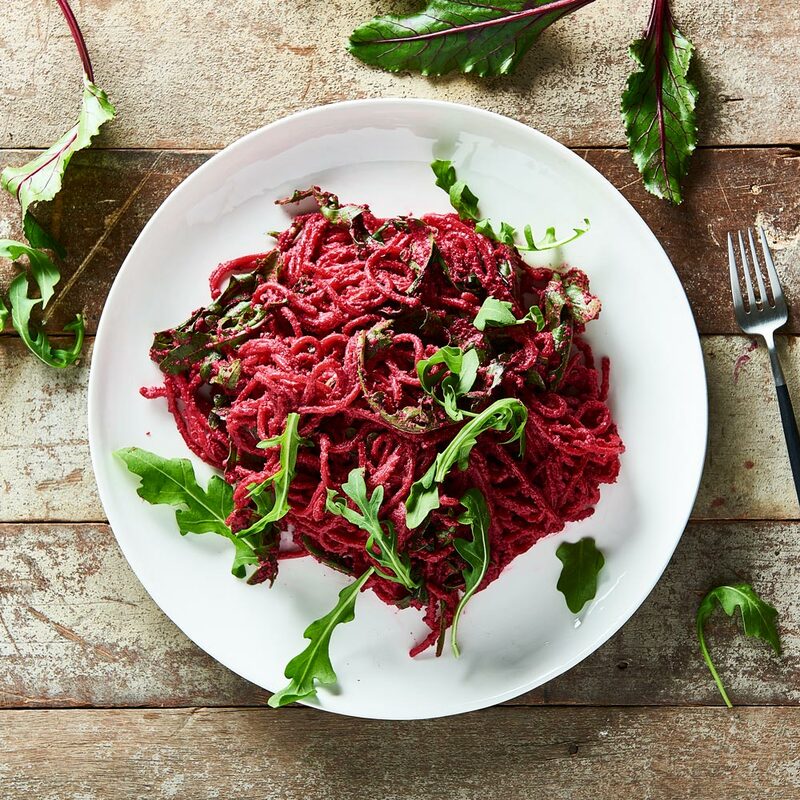 Into a food processor, add cooked beetroot, Parmesan cheese, garlic, lemon juice and olive oil and blend together to the desired consistency. If pesto is too thick, add a spoonful at a time of the reserved cooking water until the desired consistency is reached. Divide pasta and rocket between 2 people, and mix through pesto. Serve with extra walnuts and cashews.